GO & GET THE JOB DONE RIGHT! 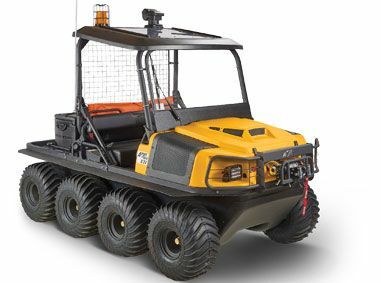 Providing customers in the oil and gas and mining industries among others with extra power, capacity, versatility and safety, the new 2018 Argo Conquest series models include a number of custom improvements to get the job done. 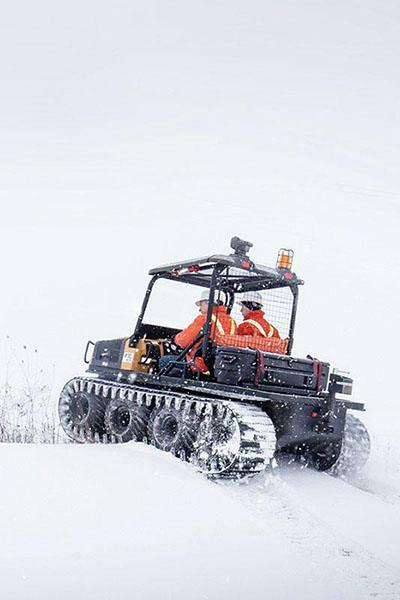 ALL-SEASON ENGINES: Dependable Kohler gas and diesel engines deliver sure starts for your ARGO in any climate conditions, including high altitudes. For commercial users, ARGO offers diesel engine models to share fuel supplies with other equipment in your fleet or camp. AUTO CHAIN LUBRICATION: Simplifies routine maintenance to ensure smooth, dependable operation for frequent users. Standard on all XT models. ADMIRAL TRANSMISSION: Our multi-purpose Admiral Easy Steer™ transmission provides the ideal combination of smoother steer and all-wheel constant traction. HD DRIVE BELT: HD Drive belt stands up against hard use for traversing the most challenging terrain. Chain drive machined sprockets. 1 3/8 in. diameter axle with triple sealed greaseable outer bearings. Final - RC50-2 and RC60 roller chain drive to all 8 axles. LCD digital gauge cluster - speedometer, odometer, voltmeter, hour meter, tachometer, low oil pressure, parking brake reminder lights and check engine light. See through polyethylene fuel tank with 8 hours of operation. Formed steel channel, welded for high strength and durability. Protected with Bonderite® epoxy-acrylic base coat, textured black epoxy top coat.